Progression were approached by the Abbeyfield Maidenhead Society Ltd to create a new online visual identity aimed at communicating the services they provide for older members of the community in a not-for-profit capacity. 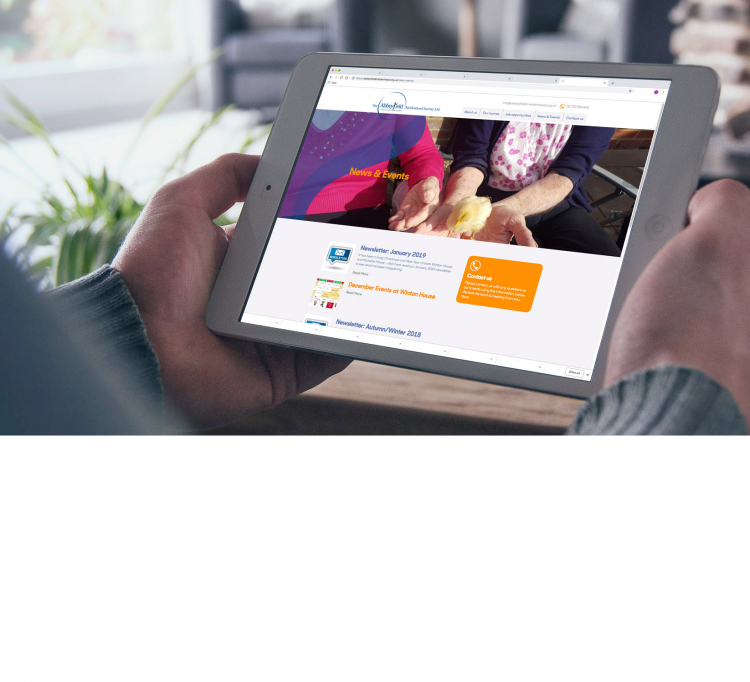 The Society runs two residential care homes in Berkshire and Buckinghamshire and they wanted their new website to be interactive for potential residents, their families and members of the local community who volunteer and fund-raise for them. With an active events calendar, the website needed to be straight-forward to update as well as informative for their users. The site was launched in December 2018 and we continue to support the Society with on-going maintenance and support. “I would highly recommend Progression Design. I am General Manager of the two Abbeyfield Maidenhead Care Homes and we needed to have a website that reflected our Homes and services as we believe they should be. The Progression team spent a lot of time with me to discuss what we wanted and how we wanted it; and then during the design process, they made sure I was happy and if I wanted things changed these changes were done almost immediately.